World population passed the 7.5 billion mark in the Spring of 2017, and it could rise to 11 billion by the turn of the century. We currently add over 200,000 to the population every day. If fertility rates don’t continue to drop, and we don’t suffer a “massive die-off,” that figure could be closer to 30 billion. 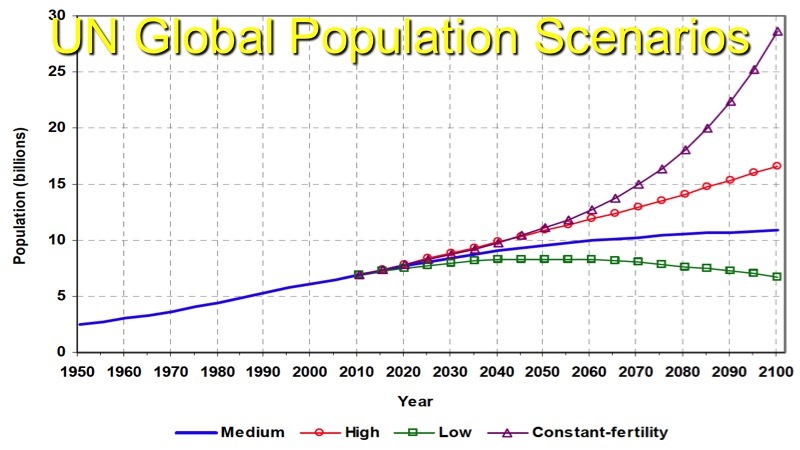 Population Media Center President Bill Ryerson corrects misconceptions, debunks myths, and shares a variety of surprising facts about overpopulation, population growth, fertility rates and human reproductive behavior in the first of a two-part conversation. Ryerson has spent 47 years in the reproductive health and population fields. He is also Chairman and CEO of the Population Institute in Washington D.C. In this interview, Bill Ryerson mentions the sustainable human population estimate work done by “a Cornell biologist.” That biologist is David Pimentel. Here’s some interesting information about the estimate. And here is Pimentel’s report on the subject.